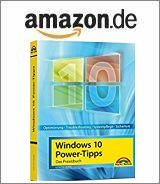 [German]Microsoft has released last week some code for Windows 7 SP1 (and Windows 8.1) that blocks updates in Windows, if the operating system runs on Kaby Lake (Intel) or Ryzen (AMD) CPUs. Microsoft has announced last year, that support for newer CPUs under Windows 7 SP1 and Windows 8.1 will be limited. But at least, Microsoft confirmed, that Skylake support for Windows 7/8.1 will be given until 2020/2023 (the end of life for these operating systems). But now we have Kaby Lake and Ryzen CPUs, where Microsoft provides support only for Windows 10. But it’s possible to use drivers from Intel and AMD to run Windows 7 SP1 and Windows 8.1 on those CPUs. Now Microsoft has published KB article 4012982, where more details about processor support has been given. The KB article with the title „The processor is not supported together with the Windows version that you are currently using“ error when you scan or download Windows updates” says, that an update search on systems with Kaby Lake or Ryzen CPUs under Windows 7/8.1 will produce the error message shown below. ArsTechnica already has published this article about this topic. The code, to block the update search within the scenario outlined above, has been released within March 2017 Preview of Monthly Quality Rollups (KB4012218 and KB4012219) for Windows 7 SP1, Windows 8.1 and its corresponding Server versions (see Windows 7/8.1 Preview Rollup Updates KB4012218/KB4012219). Also Woody Leonhard has mentioned this topic at Info World. He wrote, that it could cause trouble in April 2017, after Gruppe B updates has been downloaded and installed. This entry was posted in Update, Windows and tagged Update, Windows 7, Windows 8.1. Bookmark the permalink.